Searching for a little outfit pick-me-up? Look no farther than this article. We’ve got eleven killer tips to shake you out of your wardrobe rut, from injecting a jolt of colour to stepping outside of your footwear comfort zone. Scroll on to get inspired and shop our picks! 1. Add a touch of metallic. Just think of it like a neutral. May we suggest a shocking pink? 3. Or, if colour isn’t your thing, at least try a chic crop. 4. Embrace an unexpected print. Stripes and florals don’t count! Shop more printed jackets here. Will monograms every go out of style? We think not. Shop more statement necklaces here. 6. Try stark white nail polish. It’ll pop against your summer tan. 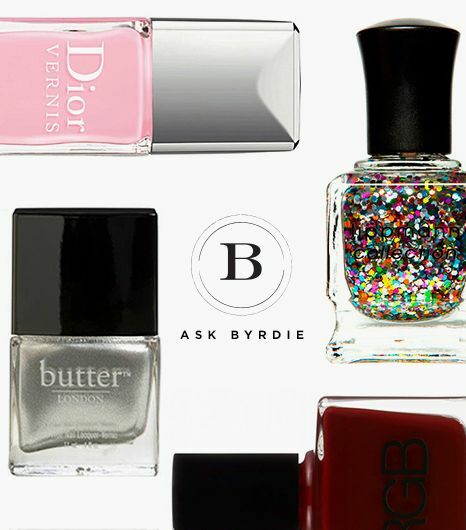 Shop more summer nail polishes here. 7. Show a little skin with a lace-up shirt. In a completely sophisticated way, of course. 8. Opt for statement footwear. You had us at electric blue snakeskin. Shop more snakeskin shoes here. 9. Or, go for a standard that will never go out of style. There’s a reason these booties are still everywhere. 11. Swap your standard black pumps for something lighter. A pearly grey is utterly lovely. How are you livening up your look this summer? Let us know in the comments below!